Welcome everyone – how are you today? I’m so happy you are hear – if you are new we are so excited to have you with us and if you are returning well I thank you from the bottom of my heart – so happy we are doing this all together. Last week I talked about your past – how you can change it to serve you, and how it has no indication of your future. 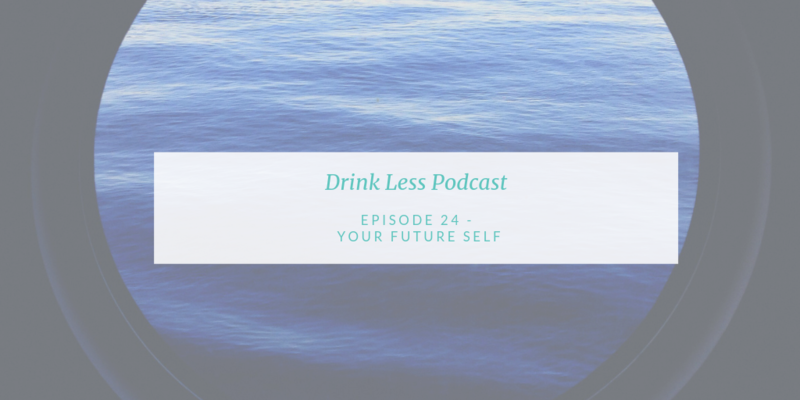 So today, I thought it would make sense to talk a little about your future – and how you can control that, and shape it as you want. Do you guys remember when you were little? Remember how you would dream about the future? whatever it was for you. It’s like we get a certain age and all of a sudden what we think about our future is … well, not much. We stop dreaming of what is still possible. I can’t do that , I have kids, or my job takes up my time, or I’m too old to change. You absolutely can still shape your future. what would you love to have as your top 5 outcomes in the next year? Save for an amazing vacation? Ok – once you have that, take a look back at how you spent your last 24 hours. Do any of your activities line up with your goals? This is so fascinatiing right? Well, first of all – most people don’t actually take the time to think about what they want in the future. We just act as if life is happening to us – the kids need to go here and there, the job has demands, the ….. whatever your story is. But remember – the results you have in your life now are because of the thoughts you’ve been thinking. If you want new results in the future you have to take a look at what you are thinking – for example, the kids need x-y-z, the job requires a-b-c and decide if you want to keep thinking this. Now – if you are anything like me when I started you might be saying – well Michelle, you don’t understand – my situation is different…lol.. I used to always tell my coach that ..lol..
She did not believe me..lol..
And I want to offer you the same – I am not buying into your story – and I can say that because I was SO set in my story originally, but I have since done so much work on my mindset that I know you absolutely can create the life you imagine. Now, let me also mention – as a reminder – your brain works on a motivational triad. We’ve talked about this in the past right – It is designed to seek pleasure, avoid pain, and be as efficient as possible. your brain is going to revolt. Change is not comfortable to your brain, it is not efficient, and it typically does not feel pleasureable as you are going through it. You know what does feel pleasureable? Well..lol.. lot’s of things – but for this podcast we are focusing on alcohol – and for some – food. What I like to offer to my 1:1 clients as they begin to take their lives to the next level – are what we call ladder thoughts. This work is not all about rainbows and butterflies and let’s just think happy thoughts and make it happen. It’s about being purposeful and deliberate in thinking thoughts that get you to the next level. So what do I mean by a ladder thought? Well, you know how a ladder has rungs – is that what they are called? You know – the parts you step on that take you from the bottom to the top. Or you don’t go from thinking I am fat to thinking I am skinny. For example – when I was working on the drinking less – I started working on thinking – I want to not want the wine so much. I can be totally fine without it. when you are working on creating your future self – you need to believe the thoughts you are coming up with. It’s almost like trying on new clothes – what fits? Toss it back out and try on another. It can be fun friends – experiment and see what works. Now – here is the other thing you can do – and this you hear all the time with athletes. I didn’t realize how important this is to the equation – and I mean as you reach for new levels in any situation. Dr. Joe Dispenza talks a lot about mental rehearsal his work. and they wanted to look at brain changes in each group. during the 5 day period. just played randomly for 2 hours each day. until they knew it by memory in their minds. They mentally rehearsed for the same amount of time. never learned, or practiced or showed up. Listen to what they found. as those who physically practiced it. – remember -they were the random players. Since it was so random the neural networks were not strengthened. didn’t have any change since they didn’t do anything. nerve cells that fire together wire together. This is why the visualization – or mental rehearsal – will help you evolve to your next best self. You want to start wiring your brain to believe in the possibilities of your future self. Now – I’m not suggesting you start playing the piano as your future self. For you it may look like you visualize yourself walking into a bar, feeling sophisticated as you order a club soda. Or – you imagining yourself only having 2 drinks on the weekend with girlfriends. Or – you showing up at the buffet and not having every single item. Or – you passing as they have the dessert tray go around. Whatever you are hoping to become. and you start believing you can stop at 2 drinks. And then you build evidence of doing that. And soon you will become that next best version. Here’s the thing – you only need one small change at a time. Think about if a plane is 1 degree off course in an 8 hour flight… you were scheduled to land in one location but since the little changes add up – well now you are at a location you never imagined. That is what this work is my friend. you never dreamed was possible. Oh – and I have one more fun activity for you to try. I thought of it because I was just talking about how as a kid I loved getting letters from pen pals.. lol – I am SO dating myself there – I don’t even know what the equivalent would be these days..lol.. I think a pen pal in todays world is likely considered a creepy stalker person..
Having already accomplished your goal. as you create the life you imagine. I have so much love for you all doing this work. Keep going – it’s so worth it. You know the drill – let’s circle back next week – but for now – make it a great day – take care!